This was pronounced “two thumbs up” by both of my older boys and all three of them requested seconds. All of the adults at the table enjoyed this roast as well. 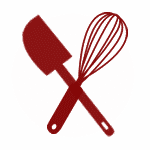 The pepper does not add heat to the dish, so much as a depth of flavor to balance the sweetness of the apple butter. This was a very simple, 5 minute meal to prep and get into the oven. 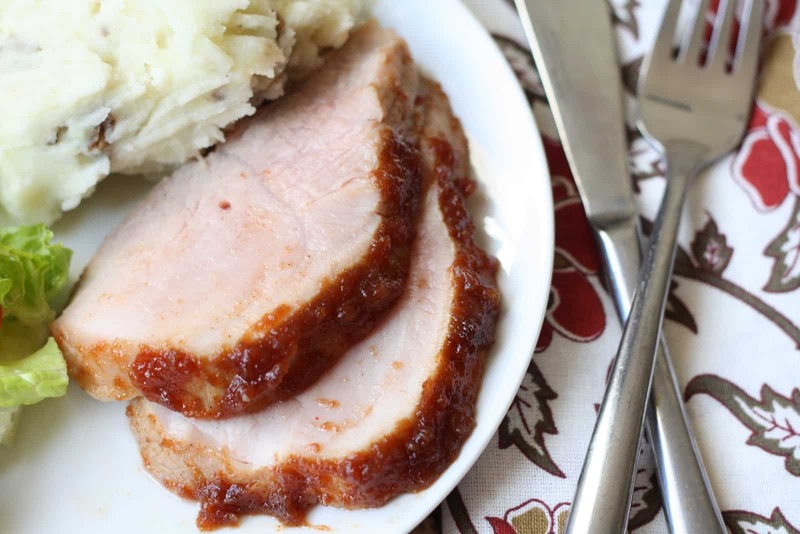 I have had apple butter set aside to combine with pork roast or pork chops for quite a while. I can’t believe that it took me so long to finally try this. We all loved it. Preheat the oven to 350 degrees. Rub kosher salt all over the pork roast. Warm the oil in a skillet over medium heat. Brown the roast on all sides and then set aside. Mix the pepper into the apple butter and then generously rub and cover the roast on all sides with the mixture. Place in a baking dish and roast until internal temperature is 145 degrees. Cooking time was 70-80 minutes, however I did allow the uncooked roast to rest at room temperature for about an hour prior to cooking it. If you are cooking a cold roast straight from the fridge, it will take a little while longer. Enjoy! Wonderful combination and a touch of cayenne must have been the icing on the cake. 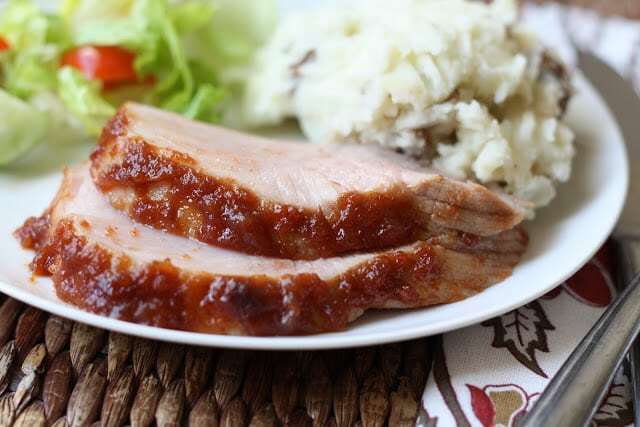 I've done one with apple butter bbq sauce once and the boys loved it, perfect with pork. 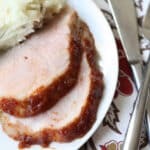 Mary this Pork Roast looks divine!! Yum!